I had just graduated from college before working as an auxiliar de conversación, so I had loans to pay -- and I made monthly loan payments throughout the entire year in Madrid. If this is your case, I highly recommend paying on your loans while you're in Spain. To date (one year since finishing my job as an auxiliar), I've already paid back three of my four loans, and this would not have been possible had I deferred them, accruing interest the whole time (scary thought!). I could only pay my loans from a U.S. bank account, but in Spain I was getting paid directly to my Spanish bank account. To not completely drain my U.S. checking account, I would transfer money to my U.S. account using paypal. I hooked up my BBVA (Spanish bank) account to a new paypal account and I already had a U.S. paypal account connected to my U.S. checking account. So every now and then I would make personal transfers from my Spanish paypal to my U.S. paypal. I found that sending 150 euros at a time was the cheapest (1,50 fee). This is what worked best for my situation. Most of my money was being spent in Spain, so since I was only sending smaller amounts no more than once a month, this was easy to do. I didn't have to mess with any wire fees, or worse -- Spanish banks! Just because the question always seems to come up, a brief note about taxes. The 1,000 or 700/month stipend is considered a grant/scholarship by Spain's Ministry of Education, so it's not taxable in Spain (since it's not considered income). I thought this meant it also wasn't considered income in the USA (and read that several places back when I was an auxiliar), so I didn't list it when I did my U.S. taxes. However, according to this thorough "How to Do Your Taxes as a Language Assistant in Spain," you should list it as some type of income on your state and federal taxes. I'm so obviously not a tax expert, but check out that resource linked to above... and then you'll probably want to get advice from an actual tax expert. I also taught private English lessons every week to supplement my income. 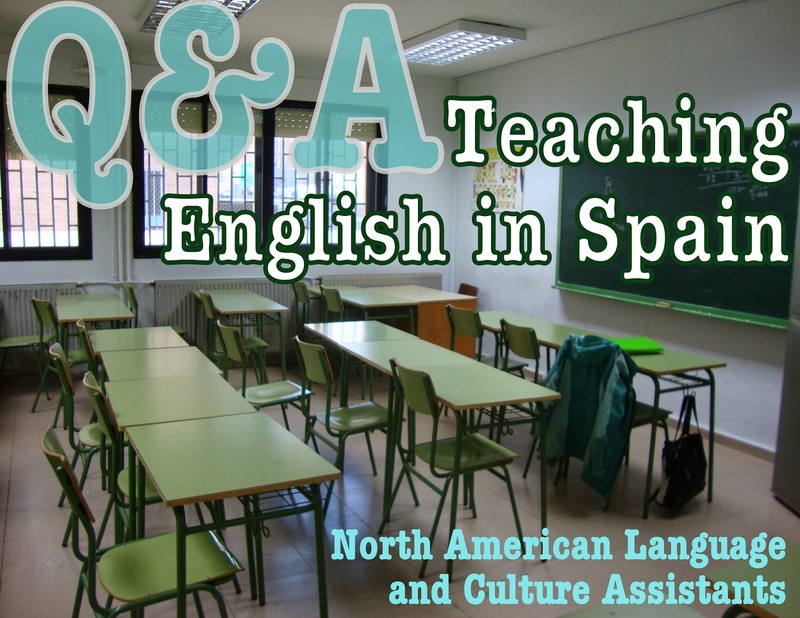 (Want to teach private English classes? Use this resource to find students!) You're only (supposed to be) working 16 hours a week as an auxiliar, so there is definitely time to teach some evening or weekend private classes. I taught four classes a week, three at 16/hr, and one at 15/hr, so I made 63 additional euros a week, around 252/month if no classes were cancelled. Alright, let's break it down. The italicized items varied each month. This is a rough estimate -- my tournament costs varied greatly depending on location, mode of transportation, and the tournament fee. Some months I had more than one tournament, some months none. I don't have a good idea how much I spent each month eating out or going out for drinks. Again, I tend to spend less than my peers, but I would still go out with my friends for cañas and tapas. Many people will notice that my rent was considerably low compared to what most auxiliares will pay (nearly double my rent cost). If I taught all of my private classes each month, I could pay my rent with just that income, leaving me with a full 1,000 euros after rent. I lived with two others in an apartment five minutes from one of my schools. My roommates (a young married couple) didn't want to make any money by renting the third room; they simply wanted to cover 1/3 of their monthly rent. I chose not to live in the center of Madrid (I lived in Artilleros), and to not look at an apartment unless it was in my price range back when I was apartment hunting. During 2009-10 when I lived in Madrid, I paid 320/month (internet and utilities included) for an apartment in Salamanca. Again, I only had two other roommates -- it was a great find. If you're frugal like me, know it can be done! Just don't settle during your apartment search, because you'll be paying that rent every month -- it adds up quickly. I didn't have a smart phone when living in Spain, rather, I had a tarjeta pre-paid "plan". This meant I simply added money to my account whenever it was low, and paid by the minute and per text. I didn't make phone calls or send texts very often, so my monthly cost was low. If I were to live in Spain again, I would bring a smart phone and get a plan with internet. My friend's internet phone plan in Spain cost 8 euros a month -- data plans are much cheaper than in the states! From July '12 through September '12 I was supporting myself in Madrid with no income (June is the final month of the auxiliares contract). Those summer months included a two-week trip to Germany and a two-week trip to France for me. When I returned to the states at the end of September, I still had over 1,000 euros in my BBVA account. Are you paying your student loans while working as an auxiliar de conversación? How does your monthly budget in Spain compare to mine? I didn't prepare myself too well the summer before I studied abroad in Madrid in college. I think I downloaded some free podcasts, but I didn't do much else. So: do as I say, not as I did! These are some of the ways I keep from losing my Spanish, now that it's at a fluent level after my two years in Madrid. If you're planning to study abroad or live in a Spanish-speaking country, I highly recommend doing some or all of these in the time before you leave. You may (and again, I recommend) do all of them no matter where you're living to improve your Spanish. The best way to get better at speaking Spanish (or any foreign language for that matter) is to do it. Speak, speak, speak, and make tons of mistakes! The sooner you start, the sooner you'll improve. In Madrid there are many intercambios, and many cities around the world have conversation tables (Madison does!). Check Craigslist and ask around -- or start your own! rtve.es is another great site to watch TV shows, documentaries, etc. It's got a few channels, whereas Antena 3 is just one. Here's my complete guide to learning Spanish with TV shows from Spain—including many show recommendations! Some movies you can find online, but if you've got a local library I recommend checking out the DVD copy. This way you can turn on the Spanish subtitles while you watch, which is the preferred way (if you need subtitles). Need movie recommendations? Check these out. Head to the iTunes store and browse their free podcasts. In fact, here's a link to Spanish-only podcasts on iTunes. Notes in Spanish is a separate site that offers free real-life audio and video in Spanish. Start reading El País instead of spending time on Facebook or reading the news in English. Reading this newspaper will not only help your language skills, but it will ease the transition to your future community by increasing your cultural knowledge. When living in Madrid I would often listen to Cadena Dial (91.7 FM in Madrid) on my radio in my room. The station only plays music with Spanish lyrics. Again, not only did this help my Spanish, but I also felt a step closer to fitting in with my Spanish friends. If you're out and your fellow Spaniards are all singing along to a popular song, it feels really good when you know the lyrics and can sing along with them! Oh, the little things. Not in Spain yet? Listen to Cadena Dial in real time here. Cadena Ser (105.4 FM in Madrid) is a talk show / news station that will definitely help your ear get used to the Castilian Spanish (castellano). Listen directly online here. And here's an exhaustive list of Spanish radio stations that you can stream live on the internet to find your own favorite. Lyrics Training is an online game where you watch music videos of popular songs as the lyrics appear on the screen. Every now and then there are blanks in the lyrics, and you need to type in the missing word as quickly as you can. I actually showed this game to my English students, but it was also fun for me to play in Spanish and French. Lyrics Training has songs in English, Spanish, French, Portuguese, Italian, German, and Dutch. Definitely give it a try! Change the settings of your email account, Facebook, cell phone, camera, laptop, etc. so that the language is set to Spanish. This page from CEC Study Languages Abroad offers 10 free online resources for learning Spanish, and it's a good place to start. This BBC Spanish page is another. I opened an account and have actually been using the site to continue learning French. I'm really impressed so far, and highly recommend the site for learning/practicing Spanish (or any of the other languages offered, for that matter!). In the year after originally publishing this post, I began working for FluentU and was with them through the end of 2016. During that time I wrote several articles with advice/tips for learning Spanish, which I've listed below. Honestly, these posts are much more detailed and helpful than this old one you just read! What tips/resources have been helpful for you on your Spanish-learning journey? I've written a guide to eating out at restaurants in Spain, but what if you're new to Madrid or Spain and need to buy some groceries? Mercadona was by far my favorite grocery store in Madrid last year, so I'm listing it first. During my first year in Madrid I didn't live near one (they're aren't too many in the city), so I never went. This past year there was a Mercadona right next to my Tues/Weds school, so I went often. It's always clean and there's a great selection of items. This is where I'd buy hummus and gluten-free items (they have lots!). Highly recommended. All three apartments in which I lived in Madrid were all about a block from a Dia supermarket. Dia has cheaper prices, so I'd go there more frequently for basics and every day purchases, like baguettes and rice. If you're living in Madrid, get a Dia card -- you get new coupons every month. Just ask about it at the check-out counter and they'll give you a slip to fill out with your name and address. 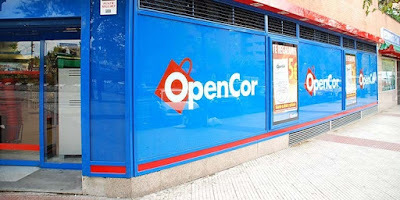 I never shopped here regularly, since there's a much smaller selection and higher prices, but take note that OpenCor is open 18 hours a day (until 3am), 365 days a year. I went here on New Year's Eve with my grandma and mother when they visited, since every other grocery store was closed for the holiday. Alcampo is gigantic. It sells more than just groceries: clothes, books, musical instruments, electronics, school supplies, etc. So if you can't find something at a smaller grocery store, chances are high that you can find it in Alcampo. There aren't many in the city since they're so big; I can think of two Alcampos that I know of in Madrid. So if you go, prepare yourself for lots of people and a huge store. My Tues/Weds school last year was near an Alcampo (across the street from Mercaonda), so I'd go there a few times when I wanted a bigger/different selection. Don't go grocery shopping here! 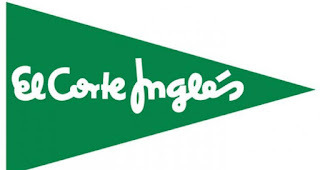 Unless you have piles of money to use up, that is -- Corté Inglés is an expensive place to grocery shop. They do have a wider selection of health food / dietary restriction items though, so you might want to explore it just to know what's available. Two other grocery stores off the top of my head are Eroski and superSol. 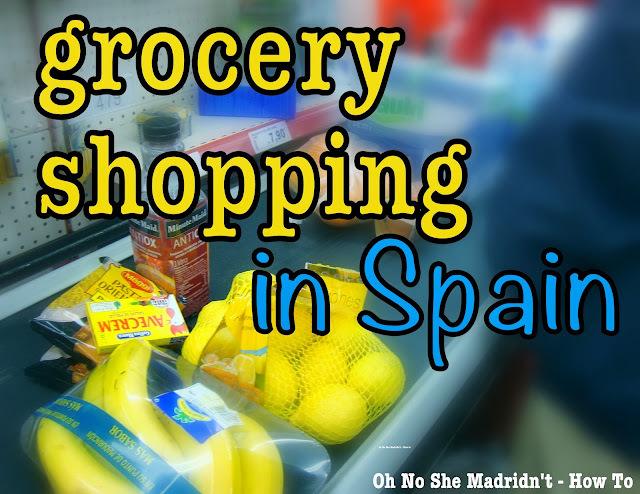 I don't have anything special to say about them - they're just more grocery stores you might happen to live by in Madrid. 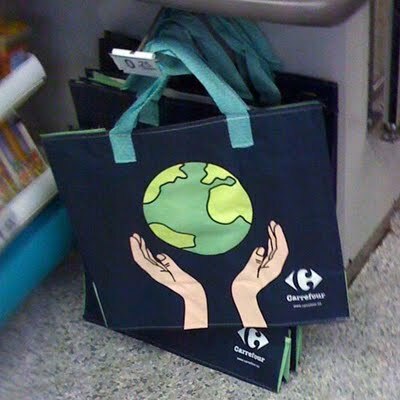 - Bring your own plastic or reusable bags. You'll have to pay a few cents for each bag you need at most grocery stores. - Don't touch the fruit! If the fruit is self-serve, there will be plastic gloves readily available. In Spain you must be wearing a glove to touch the fruit. At other grocery stores someone works behind the fruit counter. Tell them what you want and they'll touch the fruit and weigh/bag it for you. - Bring change and have patience in line. Some grocery stores have a minimum amount you must purchase in order to pay with a debit/credit card (at Dia it's 14 euros). Most people still pay with cash and count out exact change, so be prepared. Not all places (Dia, for example) are always able to break 20s and 50s. I'll never forget the first time I was waiting in line at a Dia, and the cashier asked everyone in line if they had a 5 or 10 euro bill. Someone from the line passed up a 5 so the cashier could make change for the current customer. This happened often enough there, but the first time I was really surprised. - Milk and eggs will not be refrigerated. Milk is prepared differently in Spain, so the boxes of milk don't need to be refrigerated until after you open it. I found this kind of nice, because you could stock up and buy six bricks at a time, then leave them in the cupboard. I put my eggs in the fridge after I bought them, but for whatever reason they're not refrigerated in the store. - Peanut butter is not a Spanish staple. You can find most food items from the USA in Spanish grocery stores, but not peanut butter! Try an herbolario -- that's where I bought my rice milk. Herbolarios also have vegetarian, low sugar, and other special diet foods. - You can take single items from packs. This mostly applies to beverages, and it's fantastic. 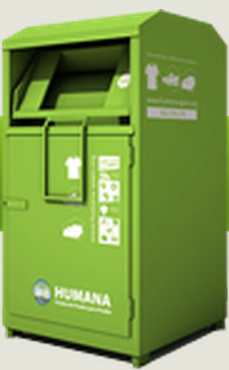 You can take out a single can of soda from a six-pack's plastic rings, or open up the plastic from a package of 2-L water bottles to take however many you need. That's why you'll see open packs on the shelves. (You'll notice the price listed is per single unit.) I've also seen yogurt packs split apart to take however many singles you want—but not the kind with a cardboard case around the yogurts. - Grocery stores are closed on Sundays. This one took a while to get used to, since Sunday is the grocery shopping day in the states. Plan ahead and make sure on Saturday that you have what you need to get you through the weekend, otherwise you might be stopping at an OpenCor! 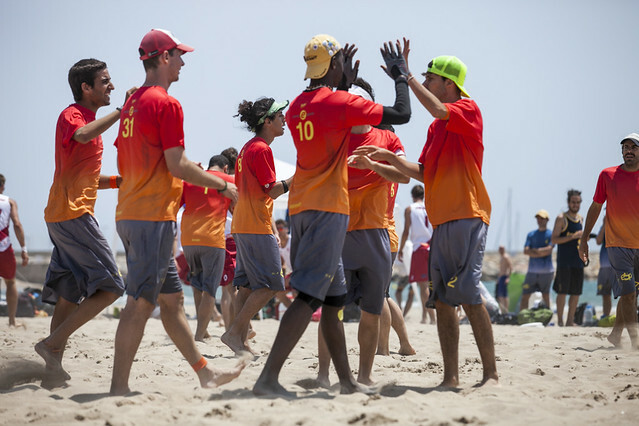 The 2013 European Championships of Beach Ultimate (ECBU) are happening right now, as I write. 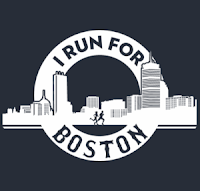 And guess where ECBU is being held this year? In Calafell, Spain! On the same beach where I played with Granada's team for the Calafell Tournament last spring. 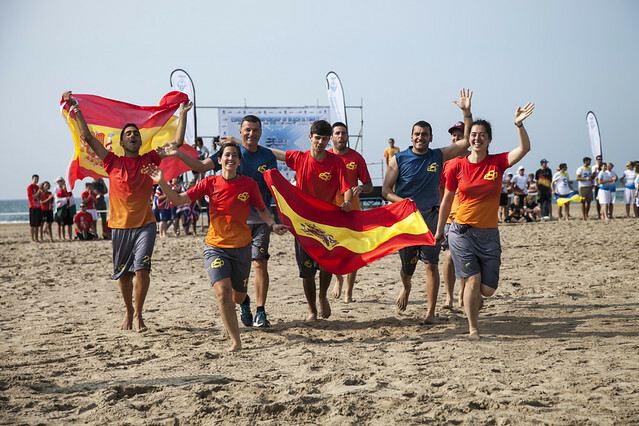 I'm pleased to have friends on all of Spain's team's that are participating in this championship: Mixed, Women's, Open, Master Mixed, and Master Open. ECBU 2013 games are being broadcast live here. I missed Spain's mixed game vs. Germany this morning because that was at 4am Wisconsin time, but I plan to watch Spain's mixed masters and open masters games tomorrow. If you're living in Madrid, whether you're studying abroad or working, I highly recommend getting a library card. The library in my 2011-12 neighborhood (Moratalaz) always had the neighborhood newspaper sitting on a table near the entrance, free to take. There would also be flyers for neighborhood events and such. Some weeks there would even be magazines and books (some in English, some in Spanish) that the library was getting rid of for free. One week I took a few English magazines from the table and brought them to one of the schools I taught in. Another week I grabbed a Spanish magazine for myself to read. In Madrid, there are two different library systems: Bibliotecas Públicas de Madrid and Bibliotecas Municipales. Each system has its own library card. I believe the main difference between the two systems is simply who runs them (please comment if you know more!). I lived near bibliotecas públicas both years that I lived in Spain, so that's the type of library card I got. Here's a link to a search to find the closest library in the Comunidad de Madrid to where you live. This network of libraries encompasses Biblioteca Regional, Bibliotecas Públicas, Bibliobuses and Bibliometro. And here's a link to a list of all of the bibliotecas municipales in Madrid. Now that you have a card, you're ready to check out some books (or DVDs or CDs). When you bring books to the counter to either check-out or return, you'll have to specify which action you're taking. Say "para devolver" to return the books, and "para llevar" if you want to check the books out. Note: check-out lengths during the summer (June 15 - September 15) at the bibliotecas municipales are extended. Do you have a library card in Spain? How often do you check-out materials? Please comment with any other tips/pointers you have! A great way to practice Spanish with native speakers and to meet new people is through intercambios. The simplest definition of intercambio is a language exchange. As a native English speaker seeking to practice Spanish, my intercambios in Madrid were with native Spanish speakers that wanted to practice English. So it's the event, but I've also come to use the word "intercambio" as a noun for the person with whom I'm having the language exchange, as you'll see throughout the rest of this post. If the intercambio is one-on-one, the norm is to talk half the time in English, then half the time in Spanish. Do not talk in Spanish and have your intercambio answer in English -- it's so much more beneficial to both be speaking in the same language. Conversation Exchange - This is the only site I used to find one-on-one intercambios. I got many replies (there are many users), and I recommend it. Tus clases particulares: Intercambio de idiomas - This is the same site I used to find the private English classes I taught in Madrid, but it also has a section for intercambios. Loquo Madrid - Kind of like a craigslist... this was one of the sites I used to apartment hunt, but again it also has a section for intercambios. You could also post flyers around your neighborhood. If you're college-aged, I recommend posting flyers at/near the universities. Perhaps meeting one-on-one with someone is too intimidating for you, or maybe you don't want that level of commitment. That's just fine, because numerous bars in Madrid have weekly intercambio nights. These are a great way to meet people and to practice Spanish. Grab a friend (or go solo), head to the bar, buy a drink (some bars have discounts if you say you're with the intercambio! ), and start talking! It's usually easy to figure out who's there for the intercambio if it's your first time. Most intercambios have someone in charge, and that person tries to introduce newcomers to the other people attending the intercambio. You can also just listen for English or French, or look for other foreigners. Okay, so where/when are some of these intercambios? I'm actually not sure what their current intercambio nights are, and I'm not finding it on their site -- please leave a comment if you know! Remember, the crowd changes from week to week. Don't rule it out if your first time ends up being a "dud" night. One night at a J&Js intercambio with my friend Izzy, we had to leave early because we couldn't stop laughing. There was an Italian guy at the intercambio who was a replica of the character Buster from Arrested Development. He also reminded us of Izzy's annoying Italian roommate at the time, and we just could not keep it together. At a different intercambio later that year, a friend and I met two Spanish guys who wanted to practice English. We actually then started meeting weekly just the four of us, going to a different bar each week. There are a few intercambio groups in Madrid that plan a variety of international/language-focused activities through their Facebook pages. Madrid Babel - Join the Madrid Babel Facebook group here. Multilinkual (David Poza) - Also, join the Multilinkual Facebook group here. 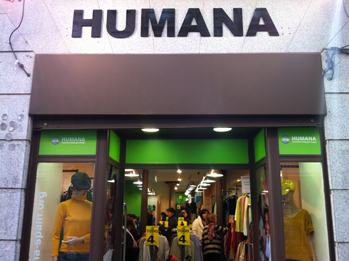 Se Habla Español en Madrid - This company's activities and language events are Spanish-only, which will be super beneficial for Spanish learners! Here are their weekly events on Facebook. If you happen to be teaching English in Madrid, don't forget to tell your older students about intercambios, too! Have you attended any of these intercambios before? Let me know how it went in the comments! If you're currently in Madrid and want to show some support for Boston, Hamantha @ Pass the Ham is organizing a 10K for this Sunday, April 28. She's gotten many businesses in Madrid to donate awesome prizes for some lucky participants that donate to The One Fund. RSVP here on the event's facebook page. It looks as if you'll have to scroll down and read the organizer's posts on the event page, since the event "information" section hasn't been updated. If any readers go, let me know how it is! Sometime last year, I saw a TED Talk about an interactive community art project called "Before I die...". The project consists of a wall covered with multiple lines of "Before I die I want to ____________". Passersby can fill in the blanks with chalk, sharing their dreams with the community. The project debuted in New Orleans, but has since spread and been recreated around the globe. I was delighted to read the other week that Cassandra (@ Gee Casandra) saw a "Before I die" display in Malasaña, a neighborhood in Madrid. Check out the pictures on her post. While looking for pictures of the display in Madrid on the "Before I die..." website, I discovered that there was a display in La Latina from July - October 2012. I might have walked past it without noticing! The display that Cassandra saw more recently has since been taken down, but seeing the pictures reminded me of the Inside Out project I saw in Madrid last fall, inspired by TED Talk award winner JR. As I've said before, this is just one of the many perks of living in a cultural and vibrant city like Madrid. Today is the last day of las Fallas in Valencia. Last year when I went to las Fallas, I couldn't stay to celebrate the last day of the festival because I had to work. The last day is significant; it's when they burn all of the gorgeous, expensive sculptures that artists spent all year making (it's called the Cremà). Have you ever seen the Cremà at las Fallas? What did you think? Today is day four of Las Fallas in Valencia. Last year I had two favorite fallas overall, but there were lots of funny fallas that I appreciated as well. Not sure what the heck a falla is? Check out this post first. Today is the second day of Las Fallas in Valencia, which goes until March 19. If you don't know anything about the fallas sculptures on display in Valencia during this festival, take a quick look at this post. I'm not sure the actual name of this one (nor the Da Vinci one above), but I've named it "flower fairies". Today begins Las Fallas in Valencia; the celebration will continue through the 19th of March. Last year at this time I was at Las Fallas with Gregorio.